KFC’s statement also included a more humorous assessment of the situation: “The chicken crossed the road, just not to our restaurants.” But while the company is remaining upbeat in public, one can only imagine how upset executives are with their new delivery partner DHL. 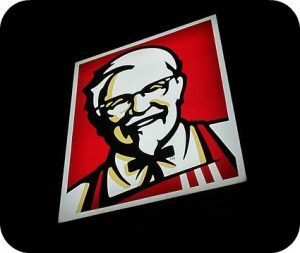 KFC struck a deal with the German firm in November 2017 to oversee warehouses and distribution for nearly 900 locations in the U.K. Unfortunately, DHL fell victim to “operational issues” that caused many of its KFC deliveries to become delayed or even cancelled. The crisis reached its height on Sunday when the chain was forced to close 646 locations. Although many of these stores have since reopened, KFC cannot say when all their U.K. restaurants will be fully operational again. Along with losing millions in revenue, KFC’s reputation with British consumers also suffered a major blow. A number of angry customers took to social media to voice their frustration as thousands of others joined in simply to mock the company. After all, what kind of fried chicken business runs out of chicken? In the end, KFC will likely spend years trying to regain their customers’ trust after this logistical nightmare. Why can supply chain problems like KFC’s chicken shortage be so catastrophic for companies? Do you think KFC’s statement about its chicken shortage is effective? Why or why not? Source: Matthew Weaver, “Most KFCs in UK Remain Closed Because of Chicken Shortage,” The Guardian, February 19, 2018.